Sector H follows the south-to-north axis formed by Bechara El Khoury and Damascus streets, to reach the Beirut Port first basin. It includes important symbolic sites: Garden of Forgiveness, Mohamad Al Amin Mosque, St George Maronite Cathedral, PM Rafic Hariri gravesite, Martyrs’ Square itself; as well as the archeological area around the ancient Tell. In June 2004, Solidere launched an international design competition on Martyrs’ Square grand axis. Antonis Noukakis and Partners Architects (Greece) were the competition winners. Their scheme defined four sections, each being responsive and attuned to the characteristics of the corresponding context. It also offered a symbolic organization of the space along the axis with an intelligent and varied array of commercial, retail, residential and civic structures consolidating urban field around the square and axis. In 2012, Renzo Piano Building Workshop (RPBW, Paris) has completed an urban design study for this axis. The alignment treated as a coherent linear public space, provides important physical and visual connections to the surrounding context. 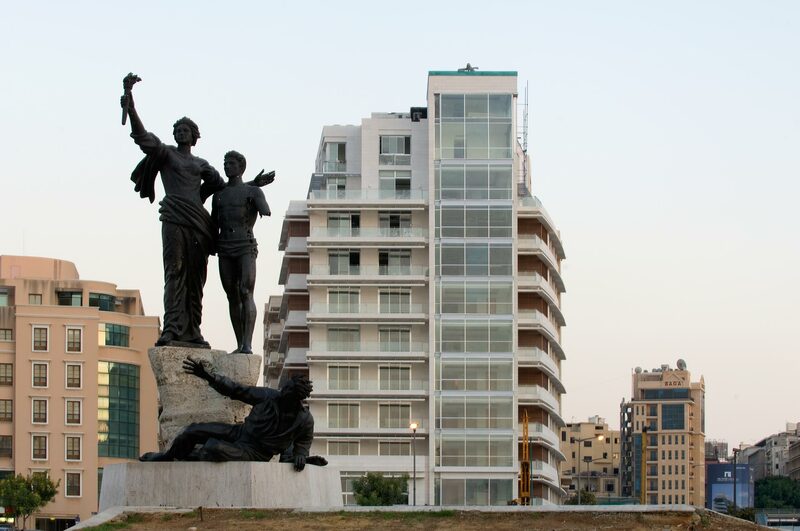 Martyrs' Square is connected to the sea visually along an unobstructed view corridor, and physically via a pedestrian route leading to the water's edge and connecting Beirut's present to its ancient past. Cross block routes connect important sites and districts either side of the axis to one another across the public space of Martyrs' Square. The southern section, constituting the threshold to the Martyrs’ Square axis, forms an east-west continuity with Saifi Village. An important feature of the plan involves creating a new gateway tower along Bechara El Khoury Street. The site of the City Center Dome, is planned as a mixed-use development containing a pedestrian public passage opened to the sky and a terrace garden. Open space is created to enhance each building, and to create links between Debbas Square, the buildings in the mid section, and the City Center Dome site. A pedestrian connection to Monot Street is established, and a diagonal movement is created through development blocks to reach the Maarad area. 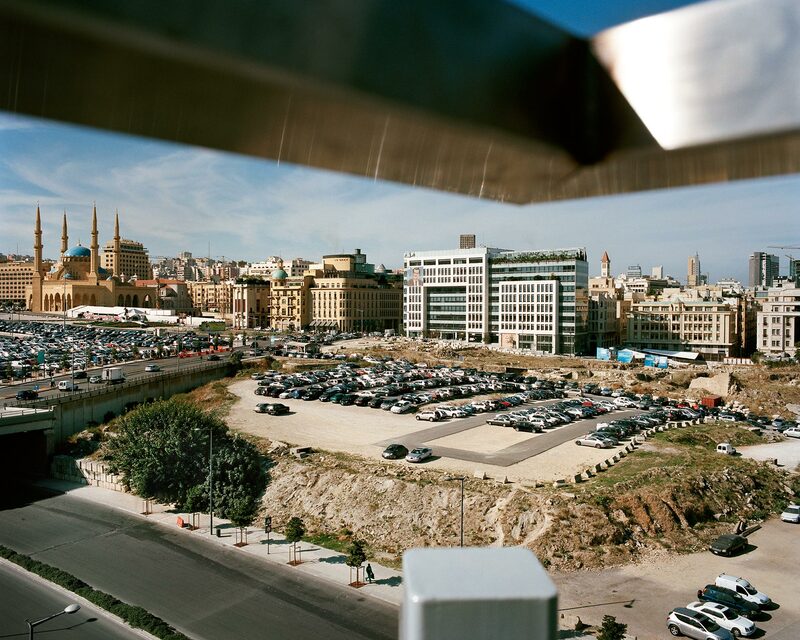 In Solidere’s cultural strategy, the site should be linked to the rest of Beirut city center, through a center of contemporary art that would connect with Saifi Village Quartier des Arts. At the center of the section is Martyrs' Square, an active public space anchored by the Statue of the Martyrs'. The space allows for an uninterrupted pedestrian route from the southern of the square to the remains of the Petit Serail at its northern edge. The plan provides for an underground parking garage, designed to integrate with the square above it. 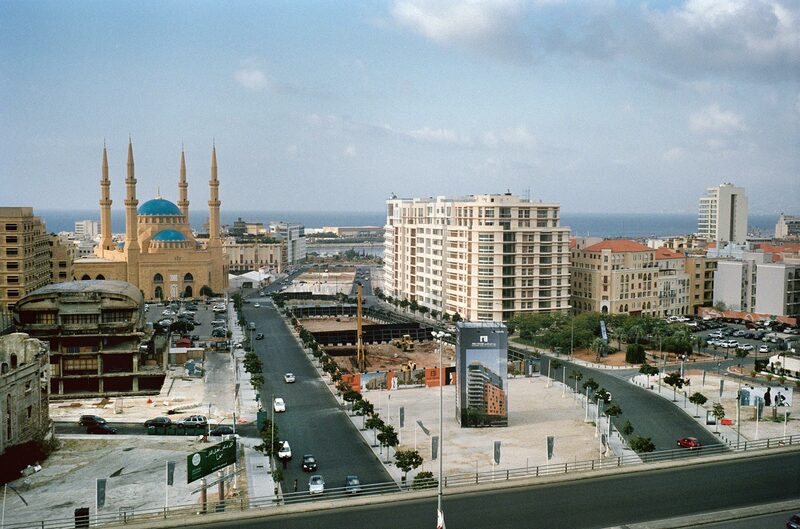 The western edge of Martyrs' Square is lined with the Garden of Forgiveness, Mohamad Al Amin mosque and PM Rafic Hariri gravesite, along with the development blocks west of Bechara El Khoury Street. The buildings ground floors along the eastern edge will be active and transparent, to provide a visually and physical permeability to the urban environment. Their elevations will form a street-wall to define and structure the square. The buildings will be crowned with green roofs and active rooftop terraces. The historic location of the ancient Bourj, will be developed as a special mixed-use project which incorporates the ruins as a focal point of the building's design. An important amendment cancelled the road between Weygand and Shafik El Wazan streets that would have cut the ancient Tell in two. Instead, a shorter tertiary road, along Al-Bourj building and reaching Foch Street was left. This solution provides a larger area around the ancient Tell and the Citadel, both important archeological remains which Solidere is striving to integrate into the urban fabric. Wegand Street represents a threshold between Beirut's present and its ancient past. 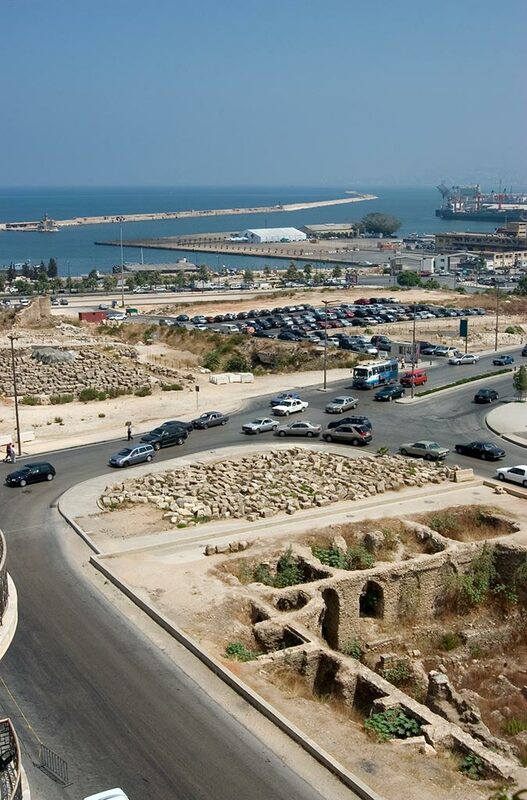 From the modern space of Martyrs' Square pedestrians will be able to stroll along the remains of the Petit Serail, cross beneath a bridge spanning along Weygand Street, through the Beirut City History Museum and to the archeology surrounding the ancient Tell. In the east northern part of the Martyrs’ Square Axis the urban design is based on a planning study by RPBW (Paris) with a towers complex forming an eastern gate to the city center.